The CoffeeShop Blog: Christmas Holiday Papers! I love putting together digital papers and I wanted to make some that can be used for the holidays. These papers are high resolution and can be used on storyboards, cards, blog designs, etc. I hope you enjoy them! 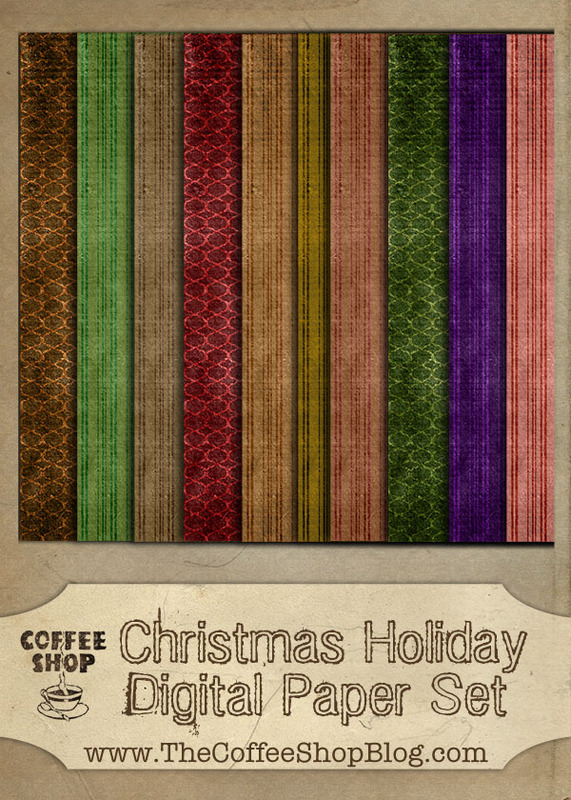 Download the free Christmas Holiday Digital Paper Set. If this link does not work, you can download them on MediaFire. What a nice set of papers. Thank you. These are JUST what I needed. You are amazing. I love you. Seriously. oh how you spoil your fans. Thank You Rita. Wow, these papers are awesome! I just love the colors! Thanks. Thank you so much for the beautiful Christmas papers! Thank you so much for this post. I want to let you know that I posted a link to your blog in CBH Digital Scrapbooking Freebies, under the Page 5 post on Nov. 18, 2011. Thanks again.